Did you know in 1982 there were only 22 California Condors left? Home » Uncategorized » Did you know in 1982 there were only 22 California Condors left in the world? Did you know in 1982 there were only 22 California Condors left in the world? 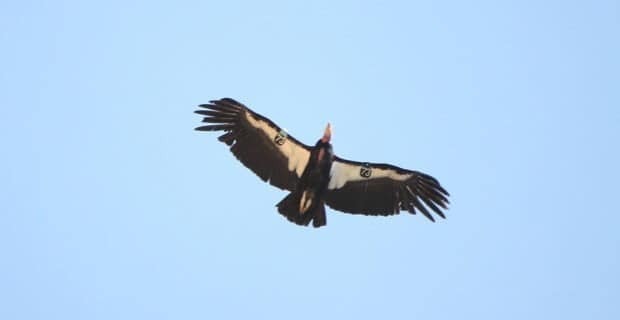 A conservation plan put in place by the United States Government led to the capture of all the remaining wild condors, which was completed in 1987. These few survivors were taken to two zoos in California to begin a captive breeding program. As the program successfully grew the condor population, the next step was to reintroduce them into the wild. In 1991 and 1992, California Condors were reintroduced into the wild in California and Mexico. Then in 1996, California Condors were released in Arizona near the Grand Canyon on the Vermillion Cliffs. Some guest on river trips, are lucky enough to see these amazing birds soar above the canyon walls. With a 9 foot wing span, it is truly a remarkable sight. 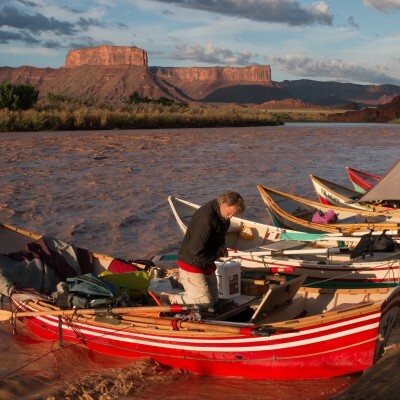 They like to hang out around Navajo Bridge (which you float under), the Vermillion Cliffs, and the South Rim. Each condor has a number under its wing. You can go to peregrinefund.org/condor-list to learn more about that particular condor. In 2016, there was an overall population of 446 condors, of which 276 were wild and 170 were captive. Following the condor recovery program can be very interesting. For more information, go to peregrinefund.org. Posted December 16, 2017 by Crate Inc.